The nose is warm and inviting, reminiscent of nutmeg, almond and brioche. Darker notes of roasted coffee bean and bittersweet chocolate demonstrate this wine's persistence. 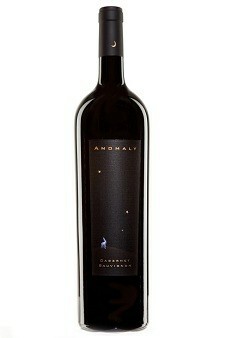 The 2008 Anomaly Cabernet Sauvignon coats the entire palate with flavors of salted caramels, dark fruits and toasted hazelnut. Tannins are fine grained and youthful, leading to Anomaly’s signature, velvety finish.